As the tensions over the closing of the Strait of Tiran intensified at the end of May 1967, and international diplomacy was struggling to coax the sides back from the brink, suddenly on May 30, with no previous announcement, King Hussein of Jordan arrived at Al-Maza airfield in Cairo and was received by Gamal ‘Abdel Nasser. The two then signed a five year military pact, and Egyptian Chief of Staff Mohamed Fawzy was named commander of a Joint Arab Command. The surprise move alarmed Israel, which had always maintained better relations with Jordan than with other Arab states. 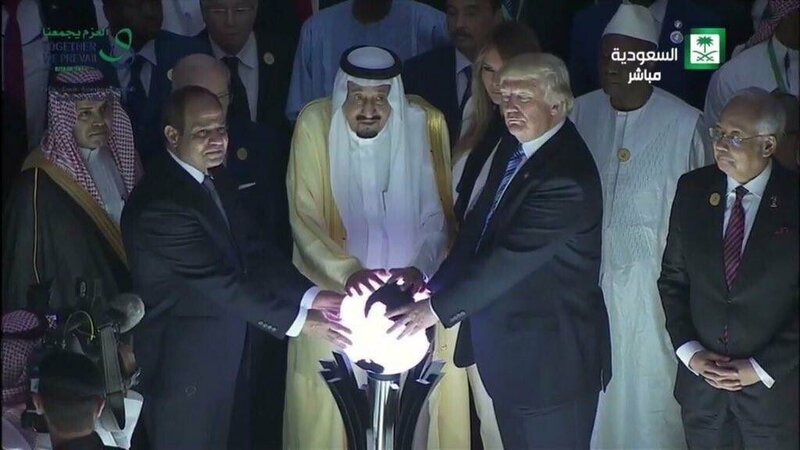 Syria was also caught by surprise. Events were moving faster than the diplomats could control. Two days later, on June 1, Israeli Prime Minister Levi Eshkol, who had also held the Defense portfolio, resigned the Defense Ministry and named Moshe Dayan, military hero of the Sinai campaign of 1956, to the job. Dayan, who had joined David Ben-Gurion and Shimon Peres in political exile in the Rafi Party, was in fact visiting South Viet Nam with the US Marines when called home. At the same time Rafi and Menahem Begin's Gahal bloc (ancestor of Likud) agreed to join a National Unity Government under Eshkol. The war clouds were gathering faster than the efforts for peace could mobilize. If there was a turning point in the tense weeks preceding the 1967 Arab-Israeli War, it was surely the closing of the Strait of Tiran on May 22-23, 1967. In 1956-57, at the end of the Suez War, Israel refused to withdraw its troops from Sinai unless Egypt guaranteed free passage of the Gulf of Aqaba (the only access to Israel’s port of Eilat) and that the border be guarded by the United Nations Emergency Force (UNEF). After Nasser ordered UNEF out of Sinai and Gaza, pressure increased to close the Strait. Israel immediately made it clear that any closure of the Strait would violate the right of innocent passage under international law and would be considered an act of war. On May 23 much of the worlf realized that, intentionally or not, Nasser had provided Israel with the casus belli it needed to justify first strike. Foreign Minister Abba Eban was on a series of peace missions to the UN and Western Europe. Some historians have suggested that Eban, in his effort to win support, may have underplayed Israel’s willingness to strike first, leading others to underestimate the urgency of the crisis. Rhe US under Lyndon Johnson came up with a bright (?) idea of forming an intentional flotilla codenamed Operation Flotilla. It would take a while to assemble. There would not be time. 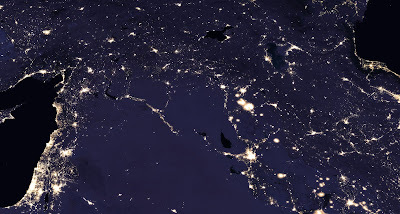 NASA nighttime photos, 2012 and 2017. Aleppo alone is stunning. Part III of my posts on the origins of the ‘Aqaba campaign will appear soon, but along with the 100th anniversary of that campaign coincide with the 50th anniversary of an even more decisive moment in Middle Eastern history. On May 13, 1967, Egyptian diplomats in the then Soviet Union communicated to Cairo stating that Soviet Deputy Foreign Minister Vladimir Semenov was warning Egypt (still officially known as the UAR), that the Soviets had detected a major Israeli buildup on the Syrian border, and that they expected Israel to launch a ground and air attack on Syria between May 17 and 21. While urging Egypt and Syria not to provoke Israel, there was one problem: there was no such buildup. Soon after the May 13 warning, Anwar Sadat (then Speaker of Parliament) visited Moscow with a Parliamentary delegation and received the same warning. Between May 15 and 19 Foreign Minister Andrei Gromyko briefed all the Arab Ambassadors in Moscow with the same warning. The question of what Moscow's motives were remains controversial, and I'll return to the question later. But what made the warning particularly incendiary was that it came at a particularly explosive moment. And 50 years ago late on May 16, Gamal Abdel Nasser, sensitive to Syrian charges that he was "hiding" behind the United Nations Emergency Force in Sinai (UNEF), sent word to the UNEF Commander via the Egyptian Chief of Staff demanding that UNEF withdraw from Sinai and the Gaza Strip. The UNEF Commander referred the issue to Secretary General U Thant. Even before Thant could respond, Egyptian forces began moving into Sinai. As with many wars in history, the seeds of the 1967 War lay in the settlement of the previous war, the Suez Conflict. To facilitate the withdrawal of British, French, and Israeli forces from Sinai and Gaza, UNEF was created. Intended to deploy on both sides of the 1949 ceasefire line (roughly today's international border). Israel refused to have UN peacekeepers on their side of the border. As a result, UNEF deployed only on the Egyptian side, and when withdrawn in 1967, there was no force to separate the two sides. 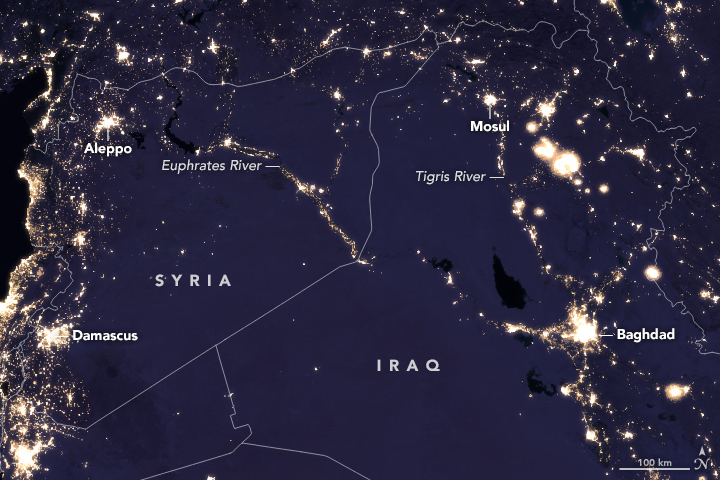 While UNEF provided security on the Egyptian and Gaza fronts, Israel continued to engage on the Syrian and Jordanian fronts (Jordan was still in control of the West Bank). Each side engaged in provocation of the other. Israel periodically tested its rights in the small demilitarized zones on the Syrian border, sending armored but unarmed tractors into the zone, where they were frequently met with shelling from Syrian artillery on the Golan Heights. The Soviets began accusing Israel of plotting an attack in the Fall of 1966. 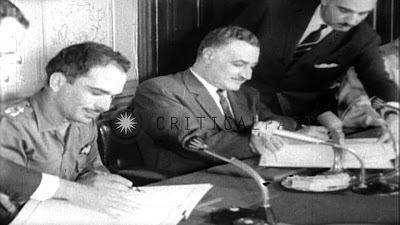 On November 8, 1966, Egypt and Syria signed a joint defense pact. Five days later, in response to a land mine attack that killed three Israeli soldiers, Israel staged a border raid against the West Bank town of al-Samu, demolishing many houses there. This in turn led to riots against King Hussein, who in turn taunted Nasser for sheltering behind his UNEF protectors. Disputes over the waters of the Yarmuk and Upper Jordan were also intensifying. On April 7, 1967, Israel began to cultivate three plots of land in the southern Demilitarized Zone near Kibbutz Ha'on. Israel had mobilized ground troops and alerted its Air Force, expecting to provoke a response. When two tractors began plowing and the Syrians predictably responded with artillery fire, IDF Chief of Staff Yitzhak Rabin was authorized to launch air strikes. The strike aircraft broke off their attack when Syrian MiGs came up to meet them and were replaced with Israeli fighters. As the day wore on the largest air dogfight since Suez ensued; at the end at least six MiGs had been shot down. In the wake of the dogfight, both Syria and Jordan escalated their criticisms of Egypt; Nasser, the self-proclaimed prophet of Arab unity, was vulnerable on this issue. Israeli PM Levi Eshkol issued a stern warning to Syria against further provocations. May 15 marked Israel's 19th independence day under the Western calendar, and a military parade was scheduled in the western (Israeli) side of Jerusalem. Since no country recognized Jerusalem as Israel's capital, that itself elicited outrage in the Arab world, Israel sought to defuse the situation (slightly) by not parading tanks or other heavy equipment. And it was at this exact point that the Soviet warning threw a lit match into the explosive situation, provoking Nasser to order the UNEF withdrawal. We'll look more closely at Soviet motives in a post coming soon. It has now been almost a week since my first post on the origins of the ‘Aqaba expedition in 1917. 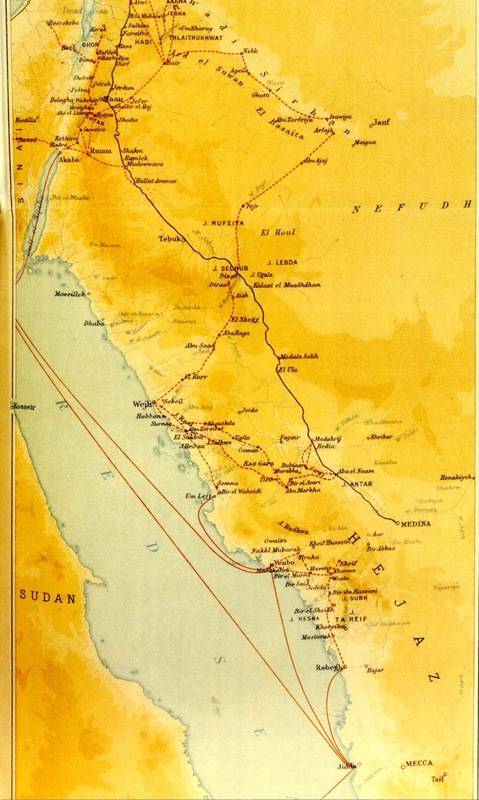 After the occupation of the Red Sea coast port of Wejh by the Royal Navy and the Arab Revolt in January 1917, the gradual advance up the Red Sea Coast had been put on pause, while the main British force out of Egypt advanced across Sinai, extending both the railway and a freshwater pipeline as it moved. In the meantime the Arab Revolt troops, advised by British advisors Stewart Newcombe, P.F.Joyce, and a diminutive young intelligence officer from Cairo named T.E. Lawrence, had begun a series of raids against the Hejaz Railway, the main Ottoman supply link to its garrison in the holy city of Medina. But David Lloyd George was impatient to speed up their advance into Palestine; and after the Second Battles of Gaza, between May and July 1917, the Arab Bedouin forces under Prince Faisal ibn al-Hussein would embark on a campaign which would capture the imagination of the world, even if its military significance was limited. This was the capture of the last Ottoman seaport town on the Red Sea, ‘Aqaba, at the southernmost tip of Palestine (Jordan today). ‘Aqaba was a small village — it would take multiple wars in Iraq to turn it into the giant shipping center it is today — Jordan's only seaport. The idea of taking ‘Aqaba was self-evident. It would complete the Royal Navy's control of the Red Sea, allow closer supply by sea to the Arab Revolt, and cover the rear right flank of General Murray's (soon to be General Allenby's) campaign. But who would take it? 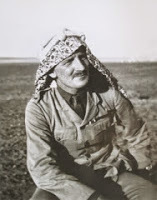 The idea found an early advocate in France's military advisor to the Arab Revolt, Édouard Brémond, proposed landing French troops from British ships. Reginald Wingate in Egypt liked the idea, but Murray was fiercely opposed, saying it was premature. Sykes-Picot was already in existence, but the British, suspicious of French motives, wanted to protect their options in ‘Aqaba, which they considered a potential forward defense for the Suez Canal. They and their Arab allies also suspected France wanted to use ‘Aqaba as a means of blocking the Arab Revolt from expanding into Syria, where France had colonial ambitions. So conflicting colonialisms were blocking a decision to take ‘Aqaba, though there was little military impediment to doing so. 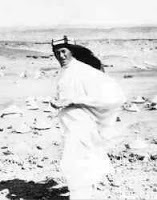 Prince Faisal also had ambitions toward ‘Aqaba. But he was suspicious of British and French intentions (justly so), while they did not want the Arab Revolt in‘Aqaba without them. Late in 2017 British ships had put a landing party ashore at ‘Aqaba, and taken some prisoners, but they continued to resist occupation. Meanwhile, Newcombe had devised a new strategy in lieu of occupying ‘Aqaba. 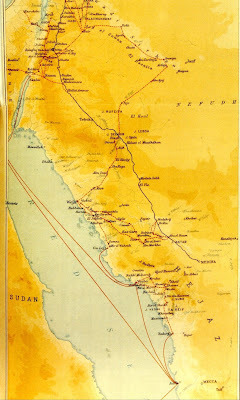 The Bedouin Arab Army, working with Egyptian troops, would occupy a position along the Hejaz railway, near the Nabatean ruins at Mada'in Salih in what is now northwestern Saudi Arabia. Here, they could blockthe railway and cut Medina off from Syria, leaving it to be picked off. T.E. Lawrence opposed the idea. A short, physically unimpressive captain in military intelligence, he had met Faisal late in 1916 and Faisal had become depend on him for military advice. Lawrence is surrounded by much mythology (for which he is partly but not exclusively responsible), but he was undeniably an innovative military thinker. He sought to apply military theory to traditional desert warfare. As a student hr had closely studied Crusader castles, and as an archaeologist/covert intelligence officer he had familiarized himself with many of the sites, including ‘Aqaba, where he would campaign. Lawrence was convinced the Mada'in Salih campaign was misguided. The tribes and the Egyptians would not work well together; the force would be open to Turkish attacks from all four directions; and Lawrence was opposed to taking Medina outright, preferring to leave it in Turkish hands and bleed them through attrition, attacking and reducing their rail supply line without cutting it entirely. The Ottomans would not voluntarily give up the second holiest city in Islam, and it would cost little to keep them tied down. But Lawrence could still not sell an ‘Aqaba alternative. 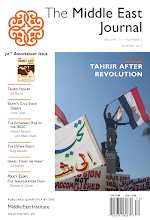 On March 8 Gilbert Clayton, the intelligence chief in Cairo, explicitly ordered Lawrence and others that a move by Faisal on ‘Aqaba "was not desirable at this time." But there were some who had other ideas. That will be Part III. A century ago today, on May 9, 1917, a small party of 45 Arab men and a single Englishman rode out of the Red Sea port of Wejh into the desert country to the north. The small raiding party was ostensibly going on a typical raiding expedition of the Arab Revolt. The overall Arab commander, Prince Faisal, knew where they were headed, but the Arab Army's British and French advisors did not. In fact, the one British officer accompanying them knew, but just two months before had been explicitly ordered against such a venture, an order not yet rescinded. The Englishman was T.E. Lawrence; the tactical commander of the raid was the most famous tribal warrior in northern Arabia and southern Syria, the Howeitat chieftain ‘Auda Abu Tayeh; and their goal was the last Red Sea port under Ottoman occupation, ‘Aqaba. You've heard of ‘Aqaba, of course. Its capture is the centerpiece of the first half of David Lean's epic 1962 Lawrence of Arabia. As I've noted before, the film takes considerable liberties with historical fact and may be a better movie for it. Surely the six foot two inch Peter O'Toole is a more heroic cinematic presence than the five foot five inch Lawrence would have been, but the blond hair and blue eyes are right. And Anthony Quinn was no Arab and his real role is if anything shortchanged, but he's a memorable ‘Auda Abu Tayeh. As cinema, it's magnificent. As history, not so much. Nothing remotely like the above actually took place. The actual battle took place many miles to the north at Abu al-Lissal, nowhere near the sea.. There were no fixed guns pointed out to sea that could not be turned (that was Singapore in 1942); in fact the Royal Navy routinely shelled ‘Aqaba and had even put a landing party ashore in late 1916 and taken prisoners, some of whom defected. And as shown, Lawrence was riding a camel and firing a pistol, but in reality he accidentally shot his mount in the head and was injured when it threw him. The actual history is less cinematic, but worthy of telling. in Part II, I hope later today I'll begin the tale. 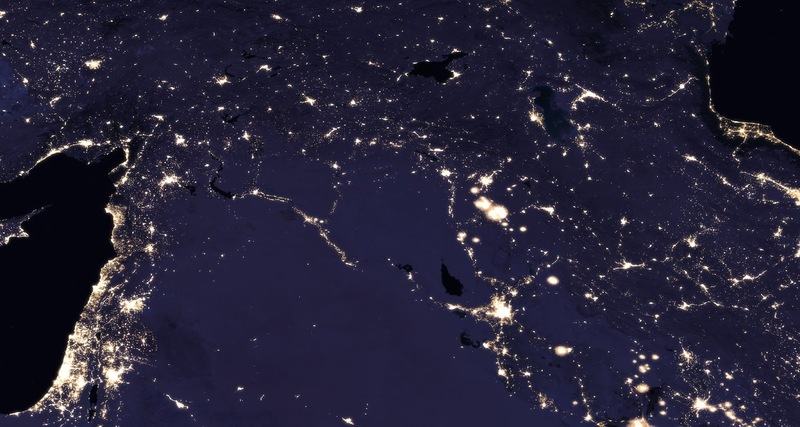 Half a Century ago next month, the post-World War II Middle East was transformed, so much so that many of the assumptions made before June 5, 1967 had been turned topsy-turvy by June 10, 1967. The Six-Day War has been examined in detail every year since this blog began in 2009, in one aspect or another, as it will this year as well. 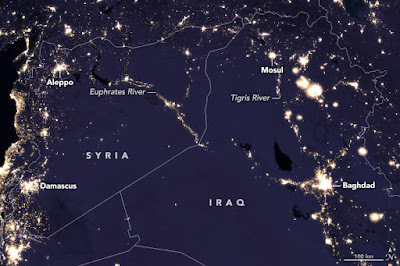 But the buildup to the June War had been building for the years since the 1956 Suez War, and tensions had been escalating for the past year, and especially in the months of April and May. Provocations were launched by both sides, though at the time Israel had considerable success at portraying itself a the primary victim. But the weeks leading up to the war were an object lesson in how countries stumble into war. What Nasser saw as an opportunity to gain political prestige, Israel saw as an opportunity, perhaps a transitory one, to transform the balance of power. One of my predecessors as Middle East Journal Editor, the late Ambassador Richard Parker, once wrote a book about the 1967 War called "The Politics of Miscalculation in the Middle East." It summarizes quite well he runup to the 1967 War, which I plan to be tracing in detail throughout the month of May.